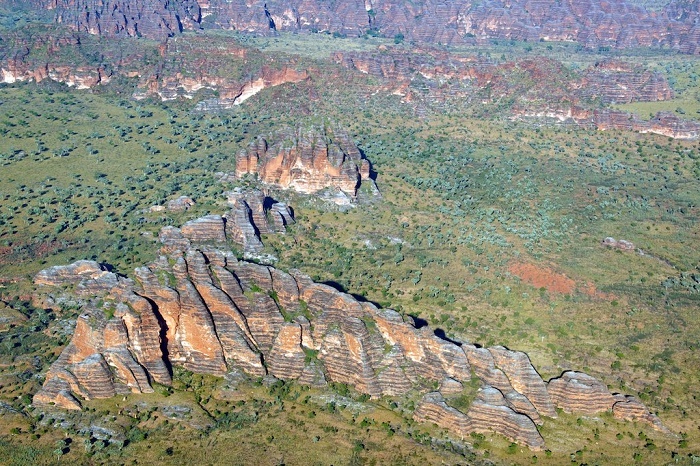 The Bungle Bungle Range is a unique land form which forms the major part of the Purnululu National Park in the Kimberley Region, in the northern part of the State of Western Australia, within the Commonwealth of Australia. 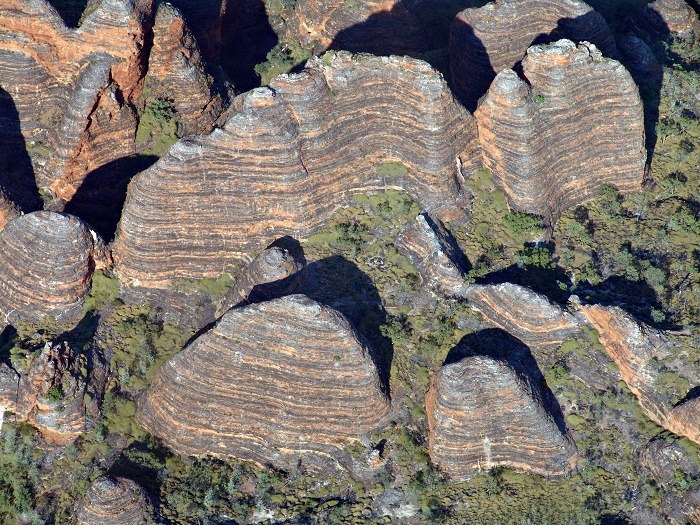 Formed as a unique feature some 360 million years ago, more precisely during the Devonian Period when sand was deposited by rivers flowing from the northeast towards this place. 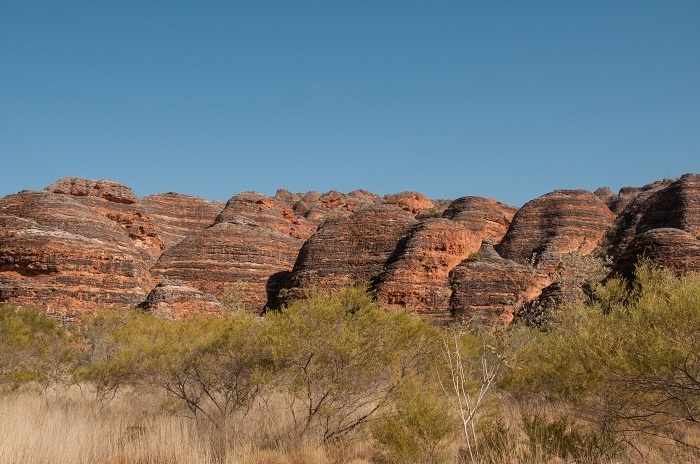 Furthermore, gravel was also deposited from the eroding mountain ranges, and with the combination of sand and gravel, they became compacted together and formed an interesting beehive geological formation. 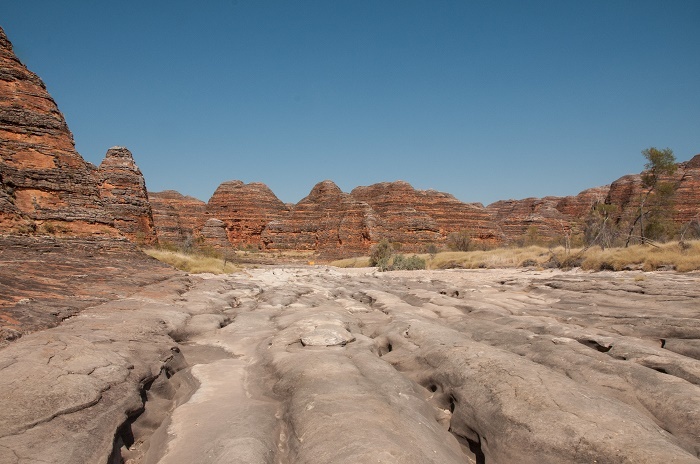 Throughout time, when the underlying rocks began uplifting and tilting, it moved the geological feature higher above the surrounding plains, and nowadays we are able to see a masterpiece that the nature created. 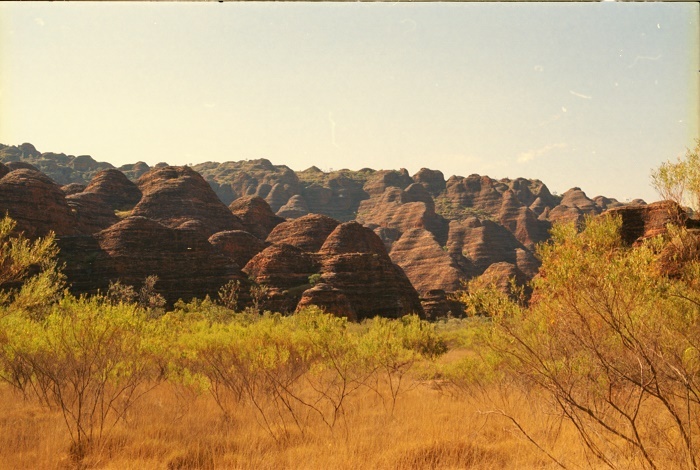 Rising some 300 meters (984 feet) above the surrounding grass covered plains, the sandstone domes have interesting, yet very unusual orange and black colors that are caused by the differences in the layers of the sandstone. The darker colors mean that they contain higher quantity of moisture, while the orange color holds more iron and manganese mineral deposits. 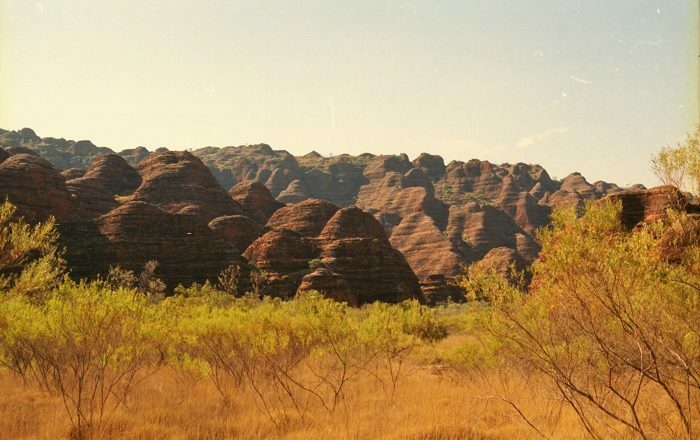 As Bungle Bungle Range occupies around 450 sq km (174 sq mi) of land, the feature remained mostly unknown by the Europeans who were slowly settling Australia, but it was considered to be of a great significance to the Aboriginal people. 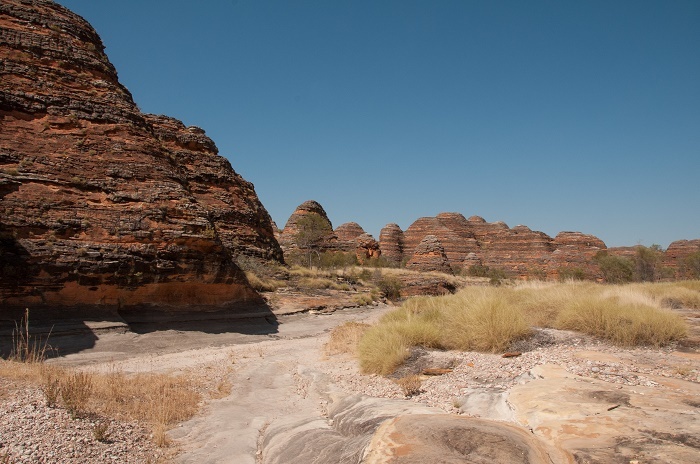 That remained as such until 1982, when a widespread media promotion began uncovering this jewel to the world, and with the production of a documentary about the Kimberly Region, it slowly started becoming more famous. 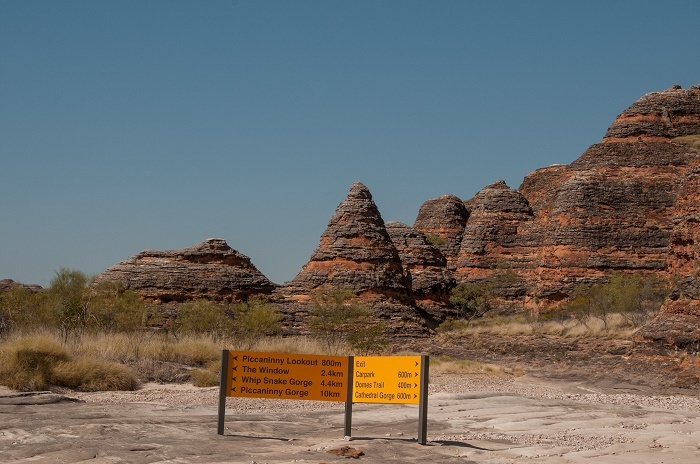 Since 1987, this alluring geological feature belongs to the National Park named Purnululu, and since 2003 it is on the important UNESCO World Heritage Site list. 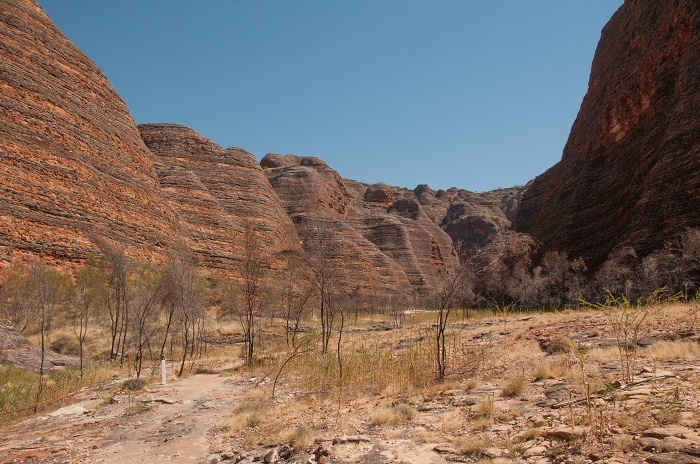 There are visitors who embark on the adventurous trip to come and see this Australian gem, however, due to the remoteness, Bungle Bungle Range is not overwhelmed with plenty of tourists, which in turn is somewhat protected by the physical influence the humans can have. 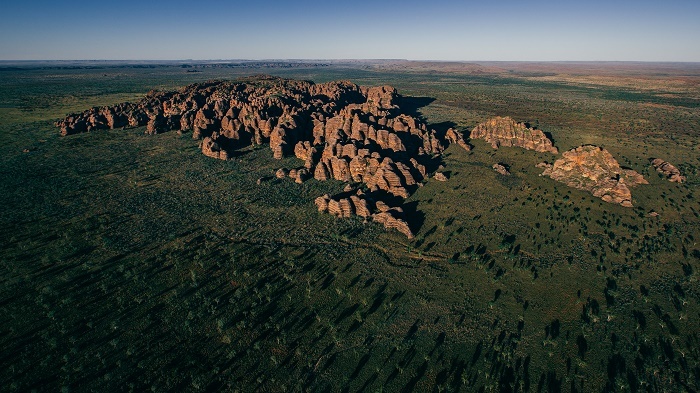 In conclusion, a great feature from Western Australia that certainly deserves the primate as one of the greatest symbols the state has, with hope that it won’t be “destroyed” by the flocks of visitors who like to see it in person.